This week's four-day meeting of China's top Communist officials was regarded as a make-or-break moment for economic reform but may have raised more questions than it answered. After decades of rapid expansion, the world's second-largest economy is entering a period of slower growth, and Beijing is under growing pressure to address issues that threaten further economic development and social stability. This meeting was President Xi Jinping's first big opportunity to pursue a reform agenda aggressively -- with major implications for the global economy. But the blueprint that the conference produced was heavy on party jargon and light on details. While the communique called for opening up China's markets, accelerating social security programs and a commitment to fiscal reform, it failed to address a number of major issues. More details are expected to be released in coming days, but for now, here's a look at three things the government didn't say. State-owned enterprises in China have long enjoyed preferential treatment in key industries including finance, oil and infrastructure. Beijing has historically relied on these companies to help boost economic growth, but some of the state-backed businesses are now bloated, inefficient and heavy with debt. 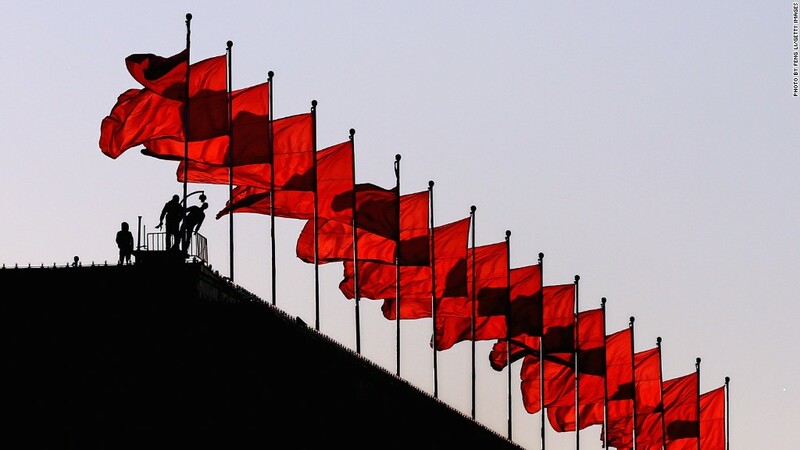 In September, the top dog at China's state-owned assets regulatory commission was ousted, raising hopes that Beijing was getting serious on reforming the sector. But the government remained silent on the subject on Tuesday, instead repeating the party line about the SOEs maintaining an important, dominant role, said RBS economists Louis Kuijs and Tiffany Qiu. And the wording seems at odds with the goal of giving markets a greater role in China. Liberalizing markets and relaxing foreign investment rules could bring more players into China, potentially creating greater competition for SOEs. Every Chinese citizen has a "hukou," a document that allows them to reside in a certain place, often their hometown, and classifies them as city or rural residents. This affects just about everything, including employment, education, health and other social programs -- and benefits can vary widely. Some critics have called for the system to be abolished because it poses an obstacle to balanced social and economic development across the country. While there was no specific mention of reforming the system this time around, the government did say it plans to distribute public resources more equally between the urban and rural populations. In other words, don't despair yet. This could pave the way for more in-depth hukou reform, said Bernstein analysts Kenneth Tsang and Vanessa Lau. China is struggling to contain growing local government debt, the result of easy credit and round after round of stimulus. Nobody knows the exact scale of the problem, but economists surveyed by CNNMoney estimate debt levels reached 14.1 trillion yuan to 19.7 trillion yuan ($3.1 trillion) by the end of last year, or roughly one-third of the country's gross domestic product. Those estimates put local debt at nearly double what it was three years ago, when China last conducted a nationwide debt audit. The result of a new debt audit launched a few months ago was expected to be released before the meeting, but nothing was announced. And although the Beijing meeting wasn't expected to tackle how to handle local government debt, it doesn't seem to have even been addressed in the conference. Ballooning debt remains a problem and could undermine Beijing's broader plans.